I don't watch a lot of documentaries, but it seems when I do, I always seem to pick one I like. Recently I watched Blackfish, the story of Tilikum, an orca captured off the cost of Iceland in 1983, who has spent the past 30 years or so in captivity, performing most recently for SeaWorld. A major premise of the film is that living in a tiny tank in stressful circumstances has transformed these whales into aggressive animals that are dangerous to humans. I've seen a lot of people debating the accuracy of this. I don't care to speculate or discuss this since this seems a far less important issue than the captivity of the animals in the first place. It seems pretty clear from other sources that orca, like many of their sea-faring relatives, are very intelligent animals with strong familial bonds. They appear to communicate via a sort of pseudo-language, and exhibit complex societal behaviors. The real issue I take with SeaWorld is that they keep these animals captive and they keep in grossly inadequate facilities. 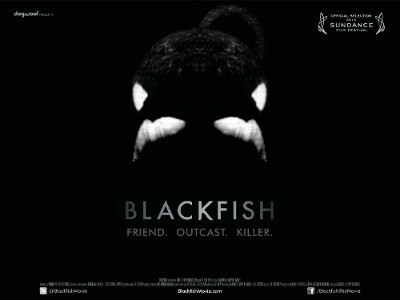 I've never been to SeaWorld, and after viewing this film I can assure you I never will. Its a really great movie and I'd encourage you to check it out. It is on Netflix (even on streaming), so should be easily obtainable.